Well, it’s August 9 and we’re on the half way mark for this winter and what a weird winter it has been. Talk about up and down, especially when you realise we’ve had three or four good falls over 50cm over the past two months, but we have only just cracked 1m at Spencer’s Creek. As they say, what nature giveth, nature takes away. While we have had a few good days it has been frustrating, with every good storm followed by warm northerlies and a significant rain event. Of course, things looked promising before the season with a good snow base in mid May, but that was washed away by 100ml of rain on May 30-31. 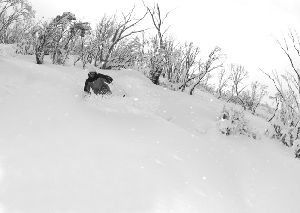 The result was the only lift open on the June long weekend was a carpet on Perisher’s Front Valley. June limped along with some small 5cm falls, but thanks to the snowmaking, more lifts opened in each resort. The first good fall came through on June 24, just in time for first week of the school holidays, with 20cm off a southeast system. The snowmakers also did their bit so there was some OK on-piste skiing, but definitely nothing to get excited about. Things started to look up around July 5 with a 15cm fall and that system continued for a few days, leaving behind 70cm of snow by July 8, with some good snow off piste for a few powder turns. Normally that would be enough to get things rolling for the season, but disaster was around the corner, the Grasshopper’s forecast on July 12 all about rain and warm hair-dryer northwest winds. We ended up getting 30-50ml on July 13-14 across all resorts and no one was happy. Everyone thought we were saved and there was some pretty good snow to be had from July 21-24. But right on cue, the warm northerlies kicked in again, Sydney was getting temps in the early 20s and we had more rain on July 29. By last Friday the cover was very thin off piste in all resorts and we were back to hard-packed on piste runs, the best in the snowmaking areas. I was up at Perisher to film the snow report and the cover at the top of the Quad was reduced to one cat-track of pushed in snow and it looked a little depressing. 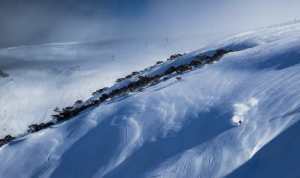 However the forecast was looking good, The Grasshopper was calling for 25-40cm across both Victorian and NSW resorts form Friday night through to Monday and it came through, last Sunday being the best day of the season with 25cm of fresh snow and plenty of dry windblown as well. So here we are, three days later and we had a surprise 10-20cm on Wednesday night.The forecast is for snow and rain tonight, August 9, and then more snow early next week. The big question is will we see another week-long run of warm northerly hair dryer winds, followed by rain or will August continue this early cycle of snow every few days? 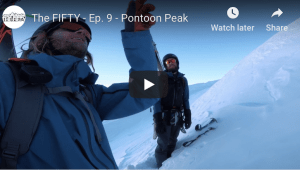 There is still two months to go in the season, and we could be in for weeks of good wintery conditions followed by fun spring skiing like last year. Who knows? One thing I do know, is that it is not a winter to take anything for granted and when it is on, make every effort you can to get out there. 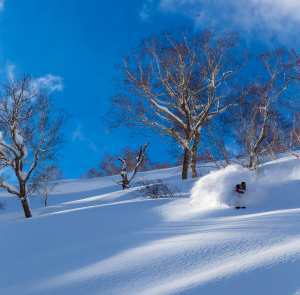 The day you don’t go skiing or snowboarding is a day you’ll never go skiing or snowboarding!